Man, oh man how all of that changed over the course of 20 years. It was down to few things. With postwar ideology taken into account – the way we rode motorcycles also changed. It was less about work and more about play. The British were slow to react, so the quality and innovation put into their machines machines waned, while the quality of American machines eventually dropped (lookup Harley’s AMF years) in an attempt to capture this new culture. Japanese machines kept getting better and better (lookup Universal Japanese Motorcycle or UJM), to the point where they can take most of the credit when it comes to what we think of motorcycles today, and the way they’re built. Fast forward a few years to the late nineties and we see the arrival of the first Chinese machines. The first models were knock-offs of UJMs… They were good from far, but far from good. Well, this has changed and the bikes coming out of CFMoto’s Chinese factory certainly prove it. CFMoto is the largest exporter of ATVs in China and has been distributed in Australia for about 10 years now. The company has sold roughly 15-thousand vehicles in Australia in that time, approximately one third of its sales are motorcycles. The CFMoto NK range is the result of a co-operation between CFMoto and KTM in 2012. So CFMoto assembles KTM’s small-capacity Dukes for the Chinese domestic market, and KTM introduced CFMoto to Kiska Design – the firm behind all of KTM’s designs since the early nineties. Kiska has already worked with CFMoto to design its 150cc NK, and more recently it restyled the current 650NK. CFMoto produces two variants of this bike with only one difference, ABS brakes. There is also a smaller-capacity 400cc NK available in the same non-ABS and ABS models. CFMoto has done a great job making the 400 and 650 look exactly the same. Mojo Motorcycles is the Australian distributor which was established in 2002. Today the company sells around 4000 vehicles per year and service over 100 dealers nationally, so theres a good chance of finding a CFMoto dealer near you. CFMoto has absolutely nailed it. At first glance, seeing a Japanese or European logo on the tank would not be surprising. This was essentially CFMoto’s design brief for Kiska Design so top marks go to both. The CFMoto not only fits in with the crowd, but it stand out too, with touches like the cool and comprehensive instruments, a stylish front brake master cylinder, underslung muffler, tank and radiator shrouds, LED indicators, headlight, taillight and spoked wheels which make . I spent quite a bit of time on the CFMoto 650NK in mixed settings: commuting, touring and wet weather. All up we put about a thousand kays on the bike and really – there’s a lot to like. The 650cc fuel-injected parallel-twin engine competes pretty well on performance in its class. It gets off the line well, and it’s a fairly torquey motor so it’s really easy to ride around town. The gearing feels taller compared to some other machines in the segment so it won’t be as forgiving if you are in too high a gear. If you’re patient you can stick it out past 5000 revs and the 650NK starts to reward you with 62 Newtons of force at seven thousand revs and 55 horses of work at nine-and-a-half thousand revs. But if it’s a virtue, just bang it down a gear to keep the bike in its meaty upper mid-range. A switch on the left block operates two rider modes, which changes between an economic and sporty throttle map. It was pretty hard to tell the difference between them so putting the bike on the dyno is the only real way to judge the difference. Yes the CFMoto 400/650NK is currently one of the only LAMS roadsters with throttle maps which is a good selling point. But if you take that fact to it’s logical conclusion, most would agree a LAMS bike shouldn’t need throttle maps. However, I get the fuel efficiency argument… but it’s a mid-capacity motorcycle. You’re already getting good fuel efficiency! If you want to do better in that department, the 150NK might be a better option you. When it comes to handling, the 650NK executes most manoeuvres with ease. The motorcycle corners intuitively and inspires rider confidence thanks to its well set-up steering geometry. In stop-start traffic, low speed handling is great. Undertaking U-turns is a slightly different story. Some unsprung weight saving and further mass centralisation would improve this. Obviously be some compromises because the bike comes in at such a great price point. However CFMoto has done quite well equipping the bike with quality components like Bosch fuel injection, KYB suspension, Continental ABS, J.Juan brakes and fairly decent rubber from CST. Yes CST is a relatively unheard of tyre manufacturer in Australia, but it has solid roots–being the ninth largest tyre manufacturer in the world and the parent company of Maxxis. Not many learners would put these tyres under the duress we did and the level of grip and feedback in all conditions was pretty impressive for our first experience with them. The J.Juan brakes provide solid stopping performance and ABS works well, taking some serious braking before the unit engages. The rider can feel it engage with a click and mashing that front lever really pulls the bike up quickly. The lever felt a bit spongy, requiring a heavy hand to get the most out of the stoppers. CFMoto has used braided lines in an attempt to improve this as well as adjustable brake and clutch levers which is impressive. Two 300 millimetre discs with two piston calipers are up front and a 240 millimetre disc with a single piston caliper takes care of rear braking. For all-round riding the suspension package is pretty good overall. Although it’s quite basic, there’s no need to complicate things. Preload and rebound is adjustable in the rear shock, while the conventional front fork has no adjustment. The front coped well on crap roads while the rear took some punishment to unsettle. The only thing CFMoto’s 650NK is really missing compared to the more ‘premium’ bikes in the segment is a slipper clutch. Change down to too low a gear and it leaves the tendency for the rear wheel lock up for a moment under compression. This will only happen to a learner rider if they are pushing the bike harder than they really should be or if they have made a mistake. Compared to the Japanese and European 650 Learners, there is still a little way to go refining the motorcycle’s minor details. 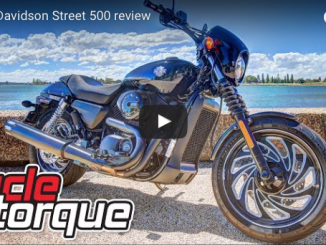 Managing the overall weight and balance of the motorcycle will improve low speed handing and improving front brake feeling are two things where the bike could do a bit better. The rest of the refinement is ergonomics – the seat could do with a bit of extra padding and the gear lever could feel more positive–it has quite a long throw. The CFMoto 650NK is available in two colours – black, and white. 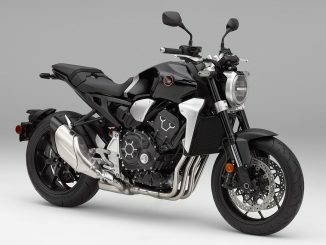 Prices start at $5,990 for the 650NK and the ABS model will cost about 500 bucks extra, which is unbelievable. It works out to be around three to six thousand dollars cheaper than its competitors once you consider on-roads. The CFMoto 650NK has to represent one of the best buys in the Australian market in that sense. If you’re looking for something in the 650 Learner market it’s well worth a test ride. It could even make a great second bike to ride mercilessly around town because of how well it does everything. The CFMoto 650NK offers just about everything its competitors do, and while it might not be as refined, it is a huge leap forward for the Chinese manufacturer. It will only be a matter of time before we consider them the new norm.